This is the self-consciously epic story of the Northern Cheyennes’ escape from Indian Territory back to their northern homeland in late 1878. It’s unusual to see a John Ford movie with this level of pretentiousness—overture, entr’acte, etc. 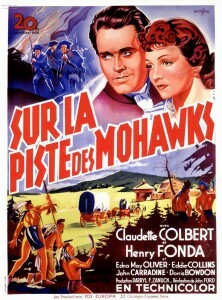 The Cheyennes, led by Dull Knife (Gilbert Roland) and war chief Little Wolf (Ricardo Montalban), are slowly dying at their Indian Territory (now Oklahoma) agency run by ineffective Quakers. When their attempts to get action from Washington fail, they depart in the middle of the night, heading 1500 miles northward. 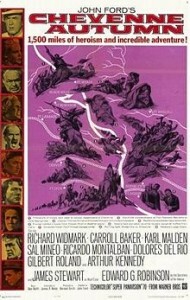 Their Quaker schoolteacher Deborah Wright (Carroll Baker) goes with them, caring for their children. Once they cross the Canadian River marking the border of Indian Territory, they are in breach of their treaty and are pursued by cavalry led by sympathetic Capt. Thomas Archer (Richard Widmark). Archer is also romantically interested in Wright, but there’s little apparent chemistry there. 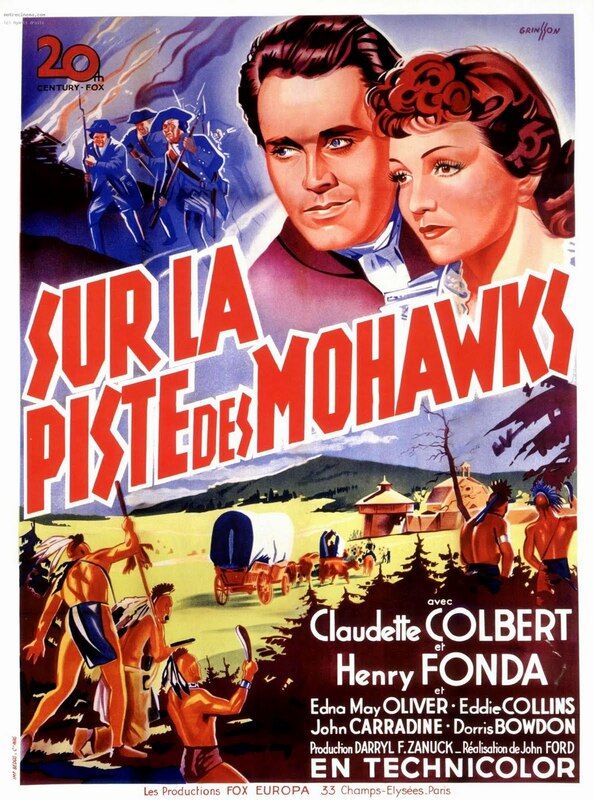 Among the Indians are Spanish Woman (Dolores del Rio), Dull Knife’s wife, and his son Red Shirt (Sal Mineo), a hot-headed young warrior interested in Little Wolf’s younger wife, and elder Tall Tree (Victor Jory). The troopers include Lt. Scott (Patrick Wayne, also headstrong in wanting to avenge his father’s death in the Fetterman Massacre) and Troopers Plumtree (Ben Johnson) and Smith (Harry Carey, Jr.), subject of a running joke when Archer can’t remember his name. The Indians set a successful trap for the cavalry; Scott is wounded and the Cheyennes escape to the north. Rumors of savages on the loose inflame Dodge City, leading to a not-terribly-effective comic interlude featuring an overage Wyatt Earp (James Stewart) in a southern planter’s getup and a buffoonish Doc Holliday (Arthur Kennedy). After the interlude, the Indians are suffering terribly from hunger and exposure in the snow. They split, with half following Dull Knife to seek food and shelter for the women and children at Fort Robinson in northwestern Nebraska. The others, under Little Wolf, continue north. At Fort Robinson, commanded by German Capt. Oskar Wessels (Karl Malden), the Cheyennes are imprisoned in a warehouse and denied food and warmth until they agree to head back to Indian Territory immediately. Archer heads to Washington, D.C., to try to help, and surprisingly encounters a sympathetic Secretary of the Interior in Carl Schurz (Edward G. Robinson). They head west together by train. Meanwhile, Dull Knife’s band breaks out of Fort Robinson, with about half of them apparently killed. They make it to Victory Cave in the Black Hills, where they reunite with Little Wolf. When Schurz and Archer find them there, they’re about to be fired on by the local cavalry until Schurz brokers a deal that will let them stay in the north. Archer and Wright apparently marry and adopt a Cheyenne girl hurt during the exodus. Little Wolf kills Red Shirt. Life goes on. Capt. Archer (Richard Widmark) and Secretary of the Interior Carl Schurz (Edward G. Robinson). This is Ford’s last film, but not one of his best. There’s a patronizing tone not unexpected in the 1960s, and the mix of pathos and sentimentality is not in good balance. Desolate Indian Territory looks surprisingly like the Monument Valley or Arches National Park (Moah, Utah), as does everything between there and their northern homeland. The Earp-Dodge City interlude is just plain awful. Sal Mineo doesn’t look much like a Cheyenne; Roland, Del Rio and Montalban (all of Mexican ancestry) are quite noble and effective. 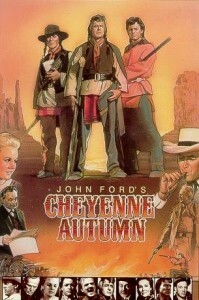 Most of the actual Indians are the Navajos Ford frequently used on his films, not Cheyennes. Cinematography is by William Clothier, music by Alex North. Based on the Mari Sandoz book. Long for its time, at 154 minutes. 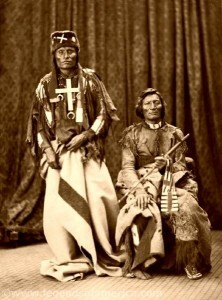 The real Little Wolf and Dull Knife; the photograph was taken in Washington, D.C., in 1873. The Northern Cheyennes were finally given a reservation adjacent to their long-time enemies the Crows in southeastern Wyoming, on the Little Bighorn, where Little Wolf died in 1904. Dull Knife ended up (by choice) on the Pine Ridge Sioux reservation in South Dakota, where many of his descendants still live. The real story of the Northern Cheyennes trying to flee the army northward is one of the more heart-wrenching of Indian history. If you’re interested in the real story, start with Dee Brown’s chapter in Bury My Heart at Wounded Knee (good writing but not unbiased and now more than 40 years old), and then go on to one of the more extended (and balanced) accounts of recent years. This movie has its roots in the story, but is not as affecting. 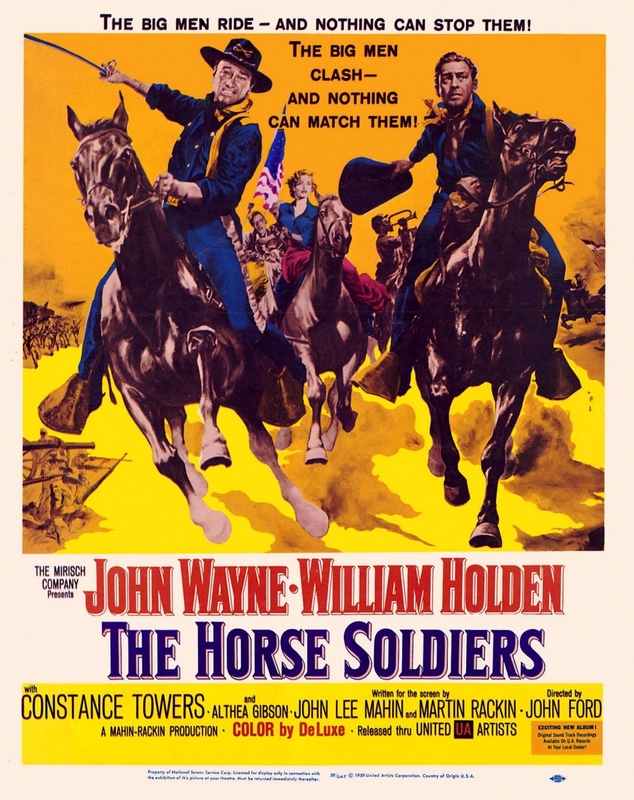 This entry was posted in Westerns Worth Watching and tagged Cavalry Westerns, James Stewart, John Ford, Native Americans (Indians), Richard Widmark on April 1, 2014 by Nicholas Chennault. A clunky title, and not a well-put-together story set in 1870s Texas. 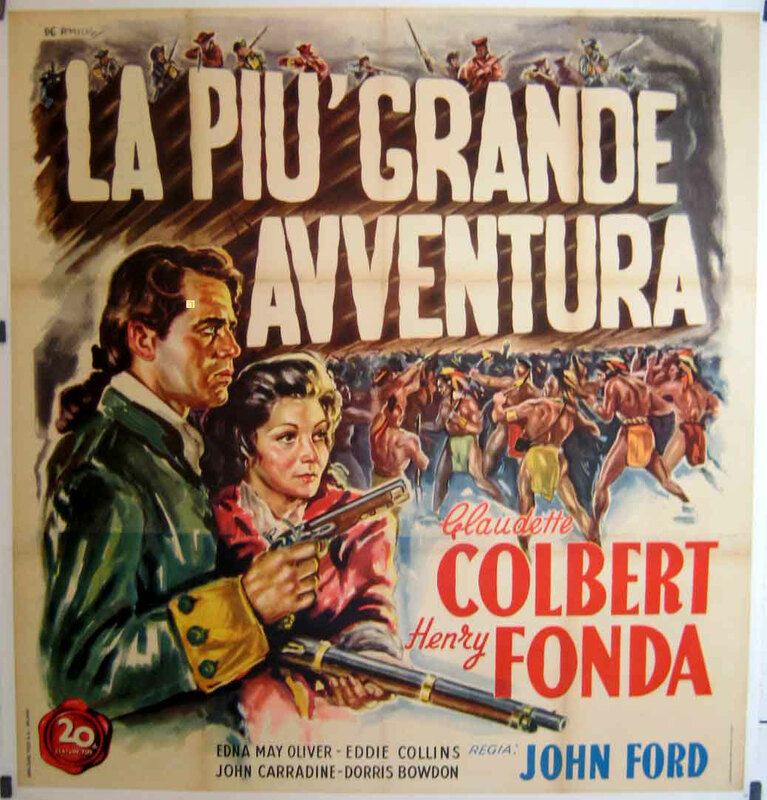 This is one of those, like Rio Grande, that John Ford appears to have made simply for contractual reasons or for the money, not because he had a compelling story to tell. 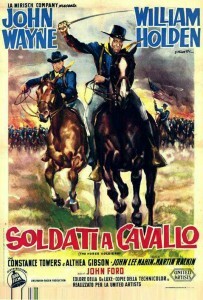 The two riding together are straight-arrow cavalry Lt. Jim Gary (Richard Widmark, seeming a bit old for the role at 45) and venal Tascosa marshal Guthrie McCabe (James Stewart, wearing the same battered hat from his 1950s westerns with Anthony Mann and also seemingly old for the role at 52). Lt. Gary (Richard Widmarl) and Marshal Guthrie McCabe (James Stewart) mull things over. McCabe takes off for Parker’s camp, accompanied by a reluctant Gary in civilian clothes. 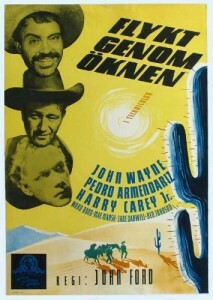 He trades guns and other weapons to Parker (played by six-foot-five-inch German-born Henry Brandon—Scar from The Searchers). 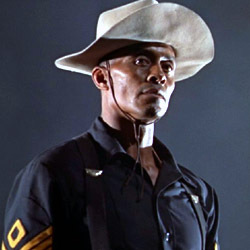 Parker has his own difficulties with militants like Stone Calf (Woody Strode), but he’s quite willing to trade his white captives, one of whom is Stone Calf’s wife, who turns out to be the Mexican Elena de la Madriaga (Linda Cristal). Taking back Elena and Marty’s now much older brother, McCabe is attacked by Stone Calf and kills him. Back at the post, the rescued captives have trouble integrating. Marty’s brother is thoroughly an Indian, and he kills a slightly deranged white woman who claims to be his mother. He is lynched for it. The whites, especially the cavalry wives, do not accept Elena among them, either. 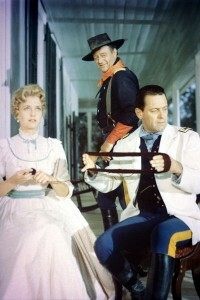 McCabe goes back to Tascosa to find he’s been replaced as marshal and in Belle Aragon’s affections. He takes off for California with Elena to where their pasts presumably won’t follow them, and Gary and Marty get engaged. The beautiful Linda Cristal as Elena, a young Mexican woman recaptured from the Comanches. The film has a large cast, including Harry Carey, Jr. (by this time it was becoming clear that he’d never be more than a bit player) and Ken Curtis (from The Searchers—at the time he was Ford’s son-in-law) as brothers and supposed comic relief. Andy Devine is a fat sergeant, and Olive Carey is the major’s sympathetic wife. John Qualen is a Scandinavian settler whose daughter won’t come back from the Comanches. 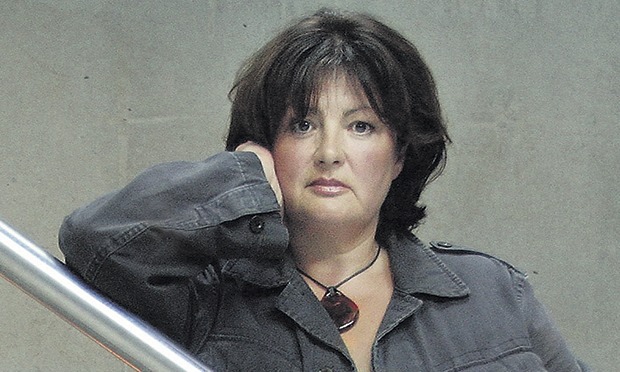 The Belle Aragon role (Annelle Hayes) sparks a little interest, but it’s not developed. 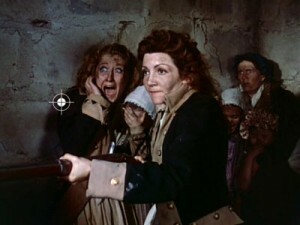 Linda Cristal (see her also in John Wayne’s version of The Alamo) is excellent, and Shirley Jones is underused. And the leads are too old for the roles they play, although they’re both excellent actors (kind of like Gary Cooper in Man of the West). This time around, there’s no Monument Valley. The Comanches look pretty clean. 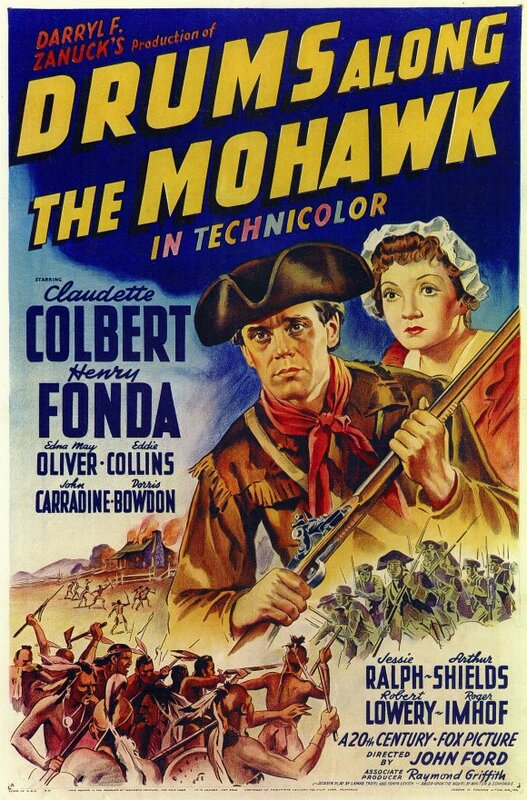 This film has some echoes of The Searchers—looking for whites among the Comanches, even the actor (Henry Brandon) playing the Comanche chief—but it’s not as coherent or focused. It was also not a critical or box office success. There’s no real resolution of the conflicting social attitudes, which is probably realistic. The real Quanah Parker’s mother was Cynthia Ann Parker, a white captive. 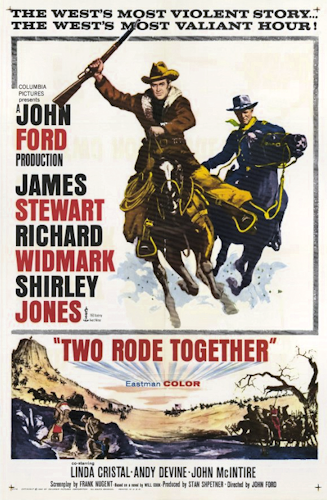 This was the first of three westerns Stewart did with Ford, just before The Man Who Shot Liberty Valance. 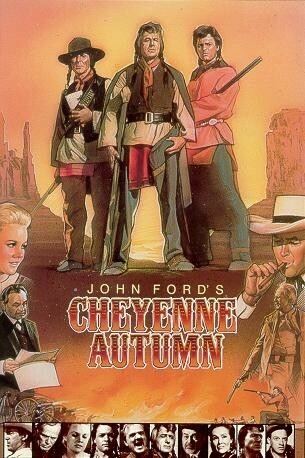 Ford seems to be moving toward a more sympathetic view of Indians, which would come to full flower in his final movie three years later, Cheyenne Autumn, also with Widmark as a cavalry officer and Stewart badly miscast as a comic Wyatt Earp. In color, with cinematography by Charles Lawton, Jr. 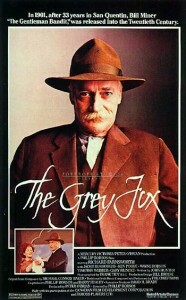 Written by Frank Nugent, a favorite of Ford’s. Not Ford’s best work, but watchable. 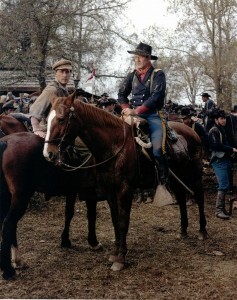 Stewart and director Ford wait between scenes. From Dave Kehr, NY Times columnist. “Two Rode Together finds its most intimate moment in an unbroken four-minute shot in which a career officer (Richard Widmark) and a mercenary Indian trader (James Stewart) exchange their views on women and independence. 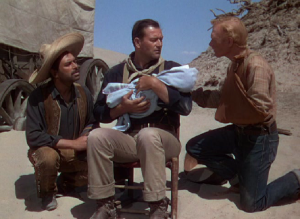 But this comic sequence proves to be the lead-in to a nightmarish evocation of domestic life gone wrong, as Widmark and Stewart enter an encampment of traumatized families, each hoping that Stewart will be able to negotiate the release of a member held captive by Comanches. The love of a husband for his wife or a mother for her child proves to be pitifully inadequate in the face of the cultural divide that has risen between them. 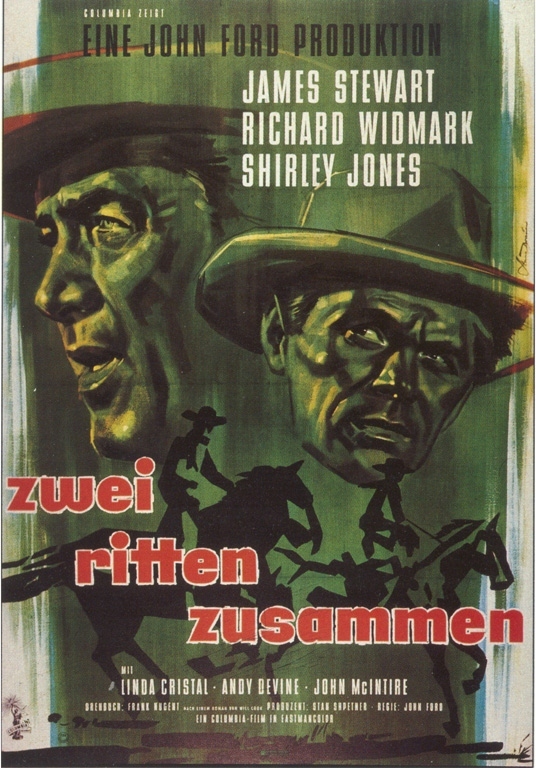 This entry was posted in Westerns Worth Watching and tagged James Stewart, John Ford, Native Americans (Indians), Richard Widmark on March 26, 2014 by Nicholas Chennault. NY Times, by Dave Kehr, Sept. 8, 2008. Written on the occasion of the release of the restored version of the movie on DVD. 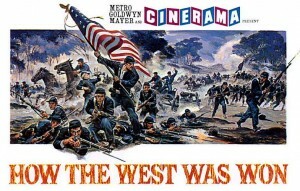 The first Cinerama features were travelogues, transporting 1950s spectators to parts of the world most would never see. (Many of the earliest Edison and Lumière films, at the turn of the 20th century, fulfilled a similar function.) Released in the United States in 1963, How the West Was Won would be the first — and, as it turned out, the last — narrative film to be shot in the three-strip Cinerama process. 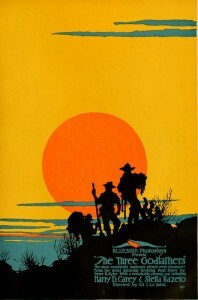 In a sense the film’s guiding aesthetic is still that of the travelogue, but instead of visiting various scenic locations, it makes brief stops at most of the symbolic locations of the western genre, from the embarkation points of the Erie Canal to the California mountains of the Gold Rush. 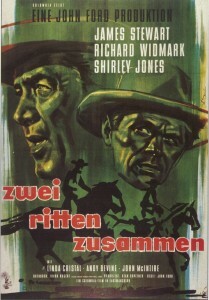 The script, by James R. Webb (Vera Cruz), does its best to touch all the thematic bases of the genre too: the male characters include a mountain man (James Stewart) and a river pirate (Walter Brennan); a wagon master (Robert Preston) and a riverboat gambler (Gregory Peck); a builder of railroads (Richard Widmark) and a frontier marshal (George Peppard). The main female characters are even more broadly archetypal: a pair of sisters, portentously named Lilith (Debbie Reynolds, who becomes a saloon singer and budding capitalist) and Eve (Carroll Baker, who stakes out a farm on a Mississippi riverbank and mothers two boys). 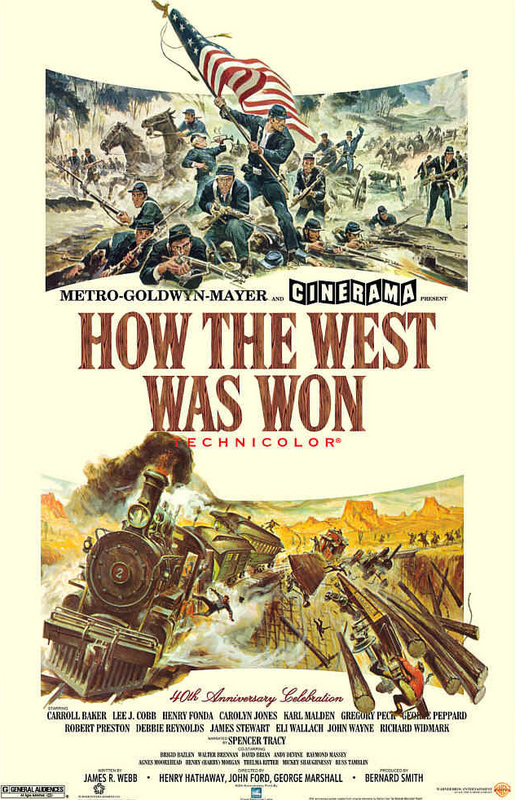 As a dramatic narrative How the West Was Won doesn’t work all that well. Few of the characters are on screen long enough to establish identities beyond those of the stars who play them. Most of the episodes are thinly developed, and over all the film has a jerky, stop-and-start rhythm, perhaps because it is the work of three different directors. 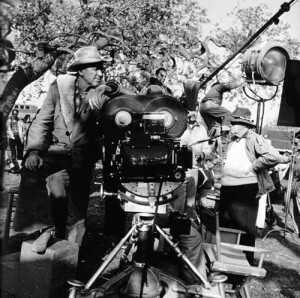 Henry Hathaway (True Grit) reportedly was in charge of the project and directed three episodes (“The Rivers,” “The Plains” and “The Outlaws”). John Ford directed one (“The Civil War”), and George Marshall another (“The Railroad,” although Hathaway later said he had to reshoot much of Marshall’s material). Instead this is a movie of visual epiphanies, ingeniously realized in the face of crippling stylistic challenges. The Cinerama camera — an 800-pound behemoth that resembled a steel-girded jukebox — could move forward and backward with ease and elegance, resulting in some of the most impressive moments in the film (like the long tracking shot through a river town that opens “The Rivers”). But it couldn’t pan from side to side without creating registration problems, and close-ups were all but impossible to achieve with the system’s short 27-millimeter lenses. Moreover, characters couldn’t move freely across the wide screen, because crossing the two join lines — where the images overlapped — would create a distracting jump, and the action (beyond the broad movements of rushing trains or stampeding buffalo) had to be restricted to the center of the screen. Hathaway and Marshall are resourceful and craftsmanlike in dealing with these limitations, finding ways to position the actors so that the join lines are hidden, or filling the unused space beyond the center frame with vertiginously detailed landscapes that fall off into infinite distance. 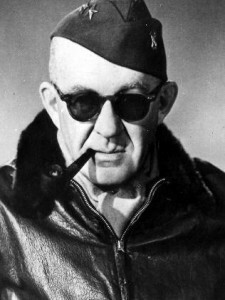 But it is John Ford who rises to the challenge most poetically, chiefly by ignoring it. “The Civil War” is an exquisite miniature (unfortunately padded out by some battle sequences lifted from Raintree County, an earlier MGM Civil War film) that consists of only three scenes: a mother (Ms. Baker) sends a son (Peppard) off to war; the son has a horrible experience as night falls on the battlefield of Shiloh; the son returns and finds that his mother has died. The structure has a musical alternation: day, night, day; exterior, interior, exterior; stillness, movement, stillness. 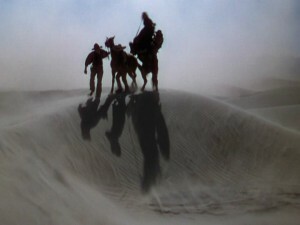 In the first and last scenes the famous Fordian horizon line extends the entire length of the extra-wide Cinerama frame. In the aftermath of the battle the horizon line disappears in darkened studio sets. 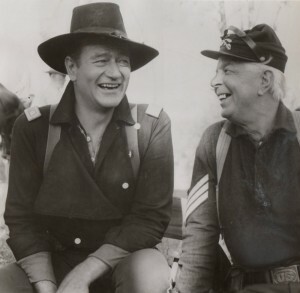 The sense of the sequence is profoundly antiwar — Generals Sherman and Grant, played by John Wayne and Henry Morgan, briefly appear as a couple of disheveled, self-pitying drunks — and it gradually becomes apparent that the elderly Ford is revisiting one of his early important works, the 1928 drama Four Sons. 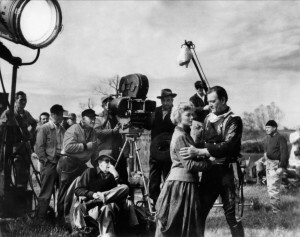 The expressionistic middle sequence, with its studio-built swamp, refers to F. W. Murnau, whose Sunrise was one of the great influences on the young Ford, while the open-air sequences that bracket it, with their unmoving camera, long-shot compositions and rootedness in the rural landscape, recall the work of the American pioneer D. W. Griffith. 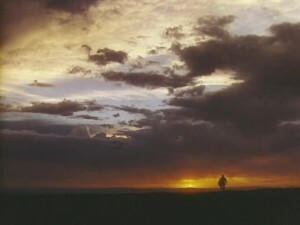 When, in the final panel of Ford’s triptych, a gust of wind tousles Peppard’s hair in the foreground and then continues across to the forest in the middle distance and on to the stand of trees in the most distant background, it seems like a true miracle of the movies: a breath of life, moving over the face of the earth. 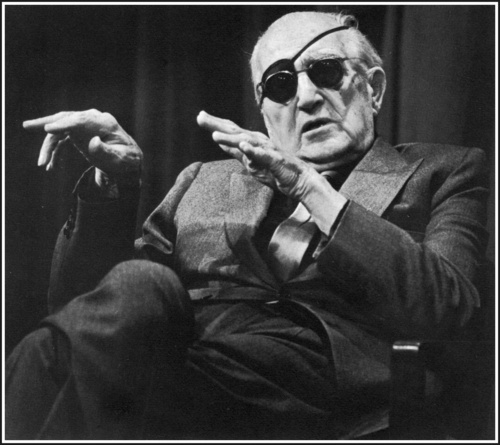 No less formidable a filmmaker than Jean-Marie Straub has called “The Civil War” John Ford’s masterpiece; for the first time, thanks to this magnificent new edition, I think I know what he’s talking about. Birth, death, rebirth. 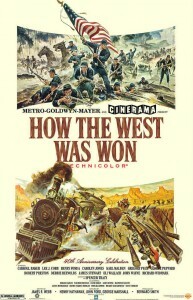 Note: This epic of the west is long, at 164 minutes. Voice-over narration is by Spencer Tracy. Music was by Alfred Newman. 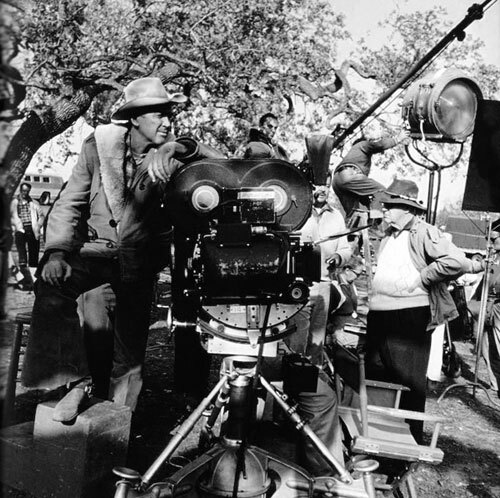 In addition to this piece, Dave Kehr was the writer of a 2005 documentary on director Budd Boetticher entitled Budd Boetticher: A Man Can Do That. After fourteen years of writing a column for the New York Times on new DVD releases, of which this was one, he now works as a film curator for the MoMA in New York. 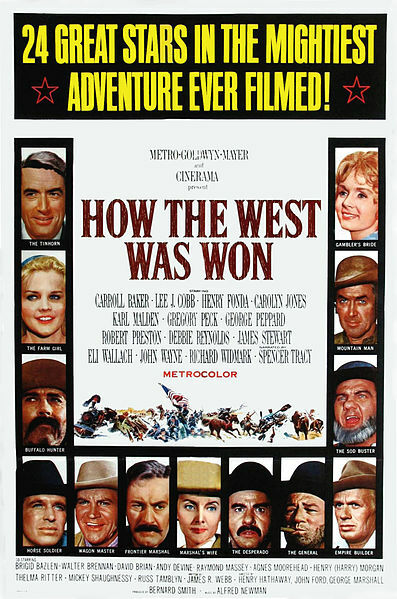 This entry was posted in Westerns Worth Watching and tagged George Marshall, Henry Fonda, Henry Hathaway, James Stewart, John Ford, John Wayne, Native Americans (Indians), Technological Westerns, Trains, Walter Brennan, Western Epics on February 11, 2014 by Nicholas Chennault. Even those who are not fond of John Ford concede that he’s probably the greatest director of westerns ever. And it’s not even close. Ford made more great westerns than anybody else, even if most of his work in silent films has disappeared. He pioneered location shooting, being the first to use the dramatic landscape of Monument Valley as a setting. He was also known for a certain kind of long shot, showing his human protagonists against a vast western terrain and sky. 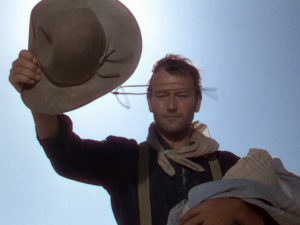 He made a star of John Wayne, the biggest star western movies have yet seen, although he’s not the one who gave Wayne his first starring role. 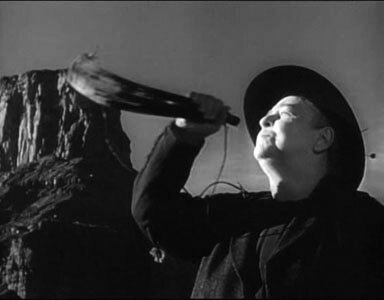 (That would be Raoul Walsh, in 1931’s The Big Trail.) Ford’s visual sense remains with you after his movies are over. Born John Martin Feeney in Maine in 1894, Ford was the son of Irish immigrants. He moved to California and began working in film production in 1914 with his older brother Francis (1881-1953), using “Jack Ford” as a professional name. Ford had an uncredited appearance as a Klansman in D.W. Griffith’s classic Birth of a Nation, as the man who lifts up one side of his hood so he can see clearly. 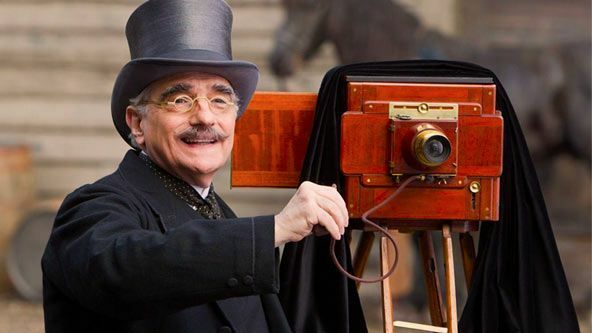 Despite an often combative relationship with Francis, within three years Jack had progressed to become his brother’s chief assistant and often worked as his cameraman. 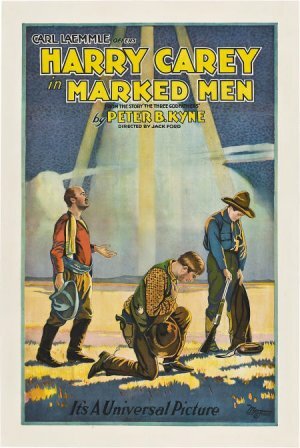 By the time Jack Ford was given his first break as a director in 1917, Francis’ career as a director was hitting the skids, and he ceased working as a director soon afterward. 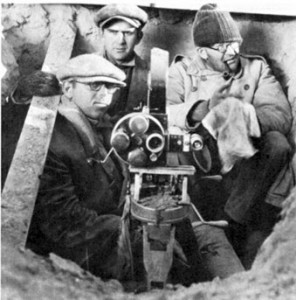 Ford as a young director, and directing 1924’s The Iron Horse (on the right). Ford started working as a director in 1917, probably on the silent two-reeler The Tornado, and he was an active director for the next fifty years. 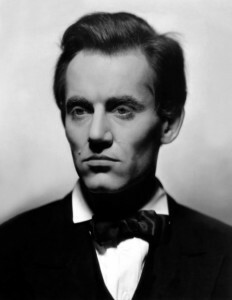 Of the seventy silent movies he made, sixty are considered to be “lost.” Although he made westerns almost from the start, he did not specialize in them at this stage of his career. He made everything else, too. He made 25 films with silent western star Harry Carey, only two of which survive. Of his surviving silent westerns, probably the two best are The Iron Horse (1924), an epic account of the building of the first transcontinental railroad, which was one of the biggest cinematic successes of the 1920s, and Three Bad Men (1926), his last silent western. He would not make another western for thirteen years, until Stagecoach in 1939. 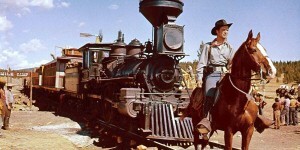 However, when he did make another western, Stagecoach revolutionized how Hollywood saw western films. 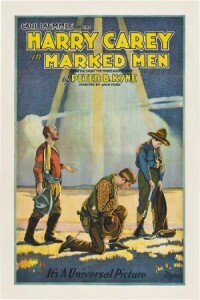 The genre had mostly fallen out of favor with the studios in the late 1920s, and almost all westerns made during the 1930s were low-budget quickies. 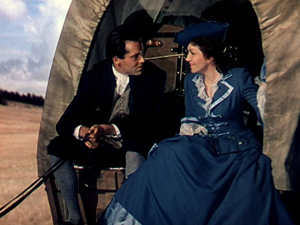 Stagecoach was not expensive to make, but it had a good story, an excellent acting ensemble, strong visuals both in the landscape and in shot composition, and state of the art stunt work for its day. 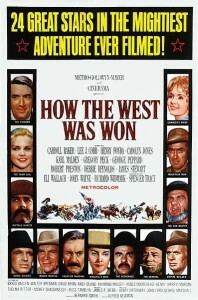 Westerns were starting to be a more significant cinematic art form. 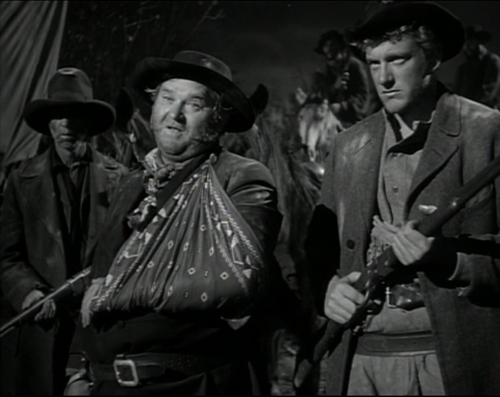 Reportedly, Orson Welles watched Stagecoach forty times as part of his preparation for making Citizen Kane. 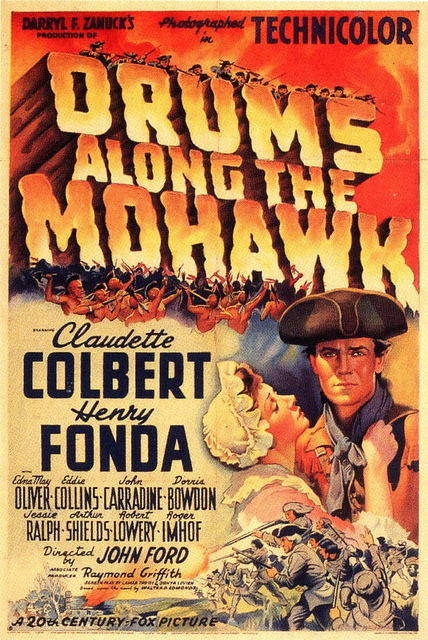 This immediate pre-World War II period was also the time when Ford was making such box office and critical successes as Drums Along the Mohawk, Young Mr. Lincoln, The Grapes of Wrath and How Green Was My Valley—a remarkable string for anybody. 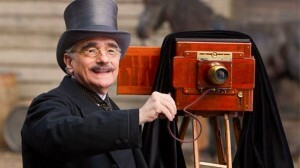 The last won both Best Picture and Best Director Academy Awards. 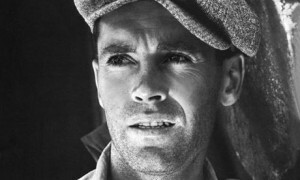 Ford-Fonda Prewar Collaborations: Young Mr. Lincoln, and The Grapes of Wrath. He made documentaries for the Navy during the war, and was wounded during filming on Midway during the Battle of Midway. 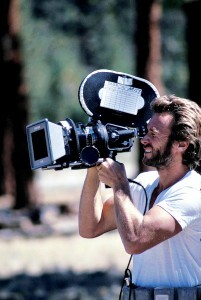 He won two more Academy Awards for this documentary work. 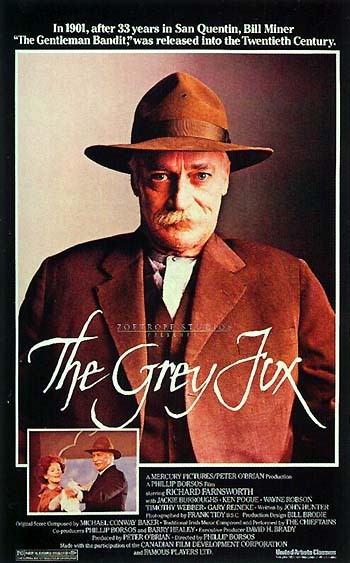 It was on his return from the war that his impressive string of westerns began, with the story of Wyatt Earp in Tombstone in My Darling Clementine, followed by his cavalry trilogy (Fort Apache, She Wore a Yellow Ribbon and Rio Grande), 3 Godfathers and Wagon Master. 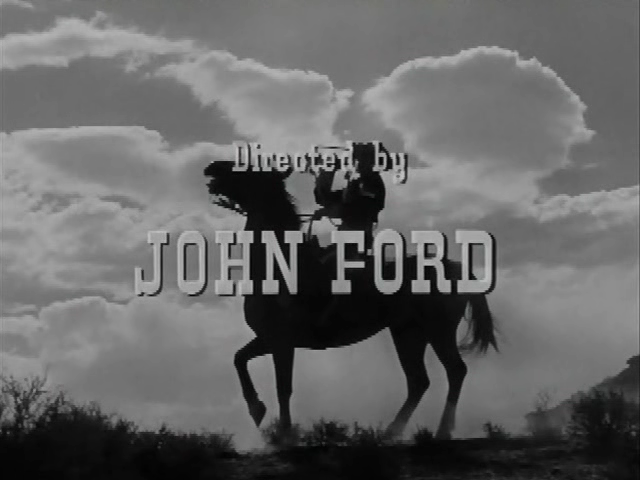 Writer Nunnally Johnson said of Ford and his need for control (not uncommon among directors), “I think John Ford almost dies because he can’t write. It just runs him nuts, that he has thoughts and ideas and has never trained himself to put them down on paper. And I’ve found that true of so many directors. They’re just so thwarted.” But as a writer, Johnson also thought that writers were among the least appreciated participants in the movie processes. 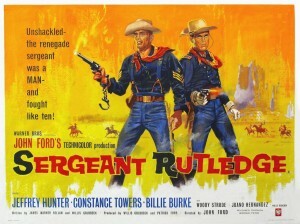 In the 1950s, he didn’t make as many westerns. 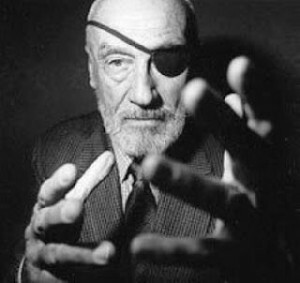 He won another Best Director Oscar for The Quiet Man in 1952; it was his fourth such award. But one western he did make during the 1950s was one of his very best: The Searchers, with John Wayne and Jeffrey Hunter. 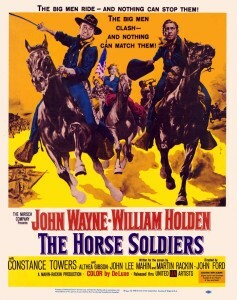 And he closed the decade with the Civil War cavalry story The Horse Soldiers, with John Wayne and William Holden. As he moved into the 1960s, his best remaining western was 1962’s The Man Who Shot Liberty Valance. There were other good westerns—Two Rode Together, Sergeant Rutledge and Cheyenne Autumn—but they were not among his greatest. His health declined in the late 1960s, and he died in 1973. He was also known for having a recurring cast of characters, most of whom are still strongly associated with his work today. Most prominent among these was John Wayne, although he also used Henry Fonda and James Stewart, among the biggest stars of their time. 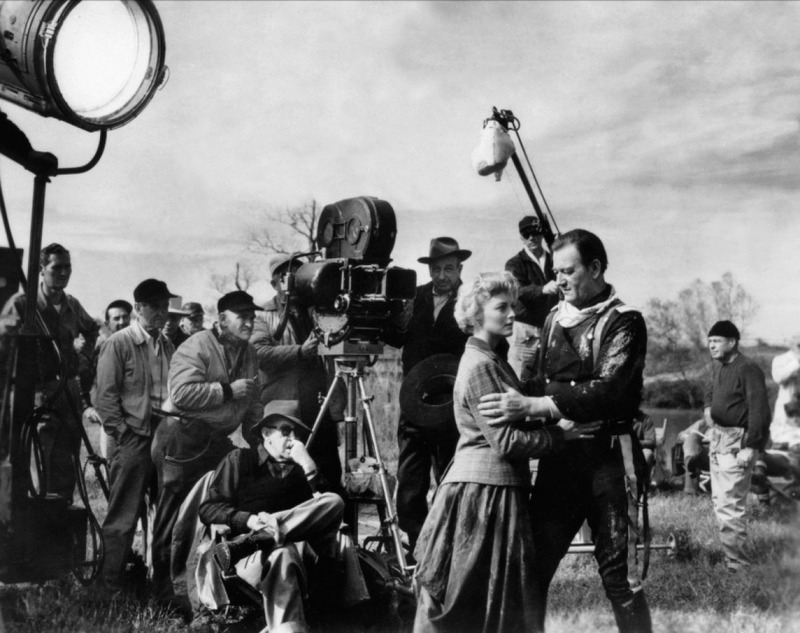 It was the supporting characters who came back time after time: Ward Bond, Mae Marsh, Victor McLaglen, Jane Darwell, Harry Carey, Harry Carey, Jr., John Qualen, George O’ Brien and a number of others. 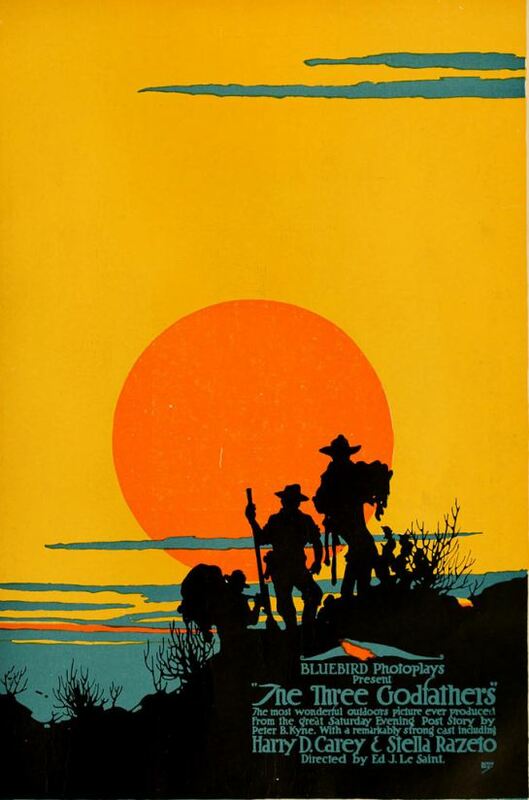 There have even been books written about “the John Ford stock company.” (See Bill Levy’s Lest We Forget, 2013.) Loyalty was important to Ford. Ford with a portrait and an Oscar, and an aging Ford in his natural habitat. That doesn’t mean he was always pleasant to work with; he was known for riding even his stars and treating them badly during shooting. He thought it produced better performances, and he’s not the only great director to take that approach. 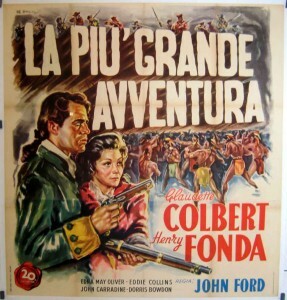 In 1955, Warner Brothers hired Ford to direct Mr. Roberts, with Henry Fonda, who had played the role on Broadway and who had misgivings about some of Ford’s direction. 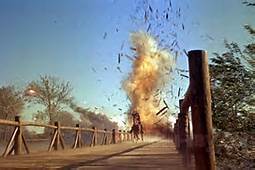 In a meeting with Fonda and producer Leland Hayward, Ford lost his temper and punched Fonda, creating a lasting rift between the two. 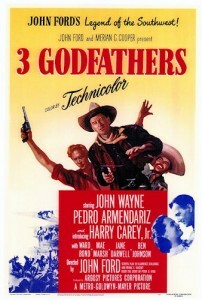 After repeated clashes during the filming of 3 Godfathers, Pedro Armendariz would never work with Ford again. Some stars, like Wayne, would put up with Ford’s sometimes abusive style. 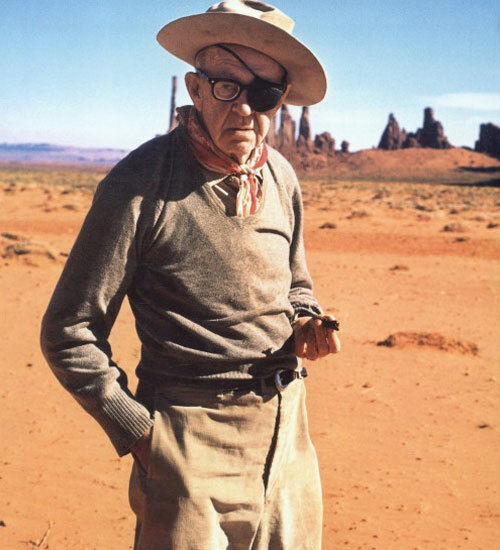 Maureen O’Hara said of him, “John Ford was the world’s greatest storyteller because he was the world’s most convincing liar. 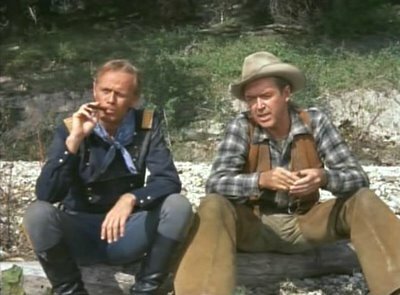 He rarely told the truth and rarely lived the truth.” Taking its title from Ford’s last silent western, the 2013 book Three Bad Men by Scott Allen Nollen applied that title to Ford, Ward Bond, and John Wayne, in part because of their politics. That’s too harsh, but Ford could be difficult to work with and in his private life as well. And he was always one to tend his own legend, too. On the other hand, a story is also told about how during the McCarthy era of the 1950s, he bluntly and effectively stood up to a bullying Cecil B. DeMille, who was trying to get Joseph L. Mankiewicz removed as head of the Directors’ Guild of America and require a loyalty oath. After four hours of DeMille and his supporters dominating the meeting, Ford stood and made this statement: “My name’s John Ford. I make Westerns. 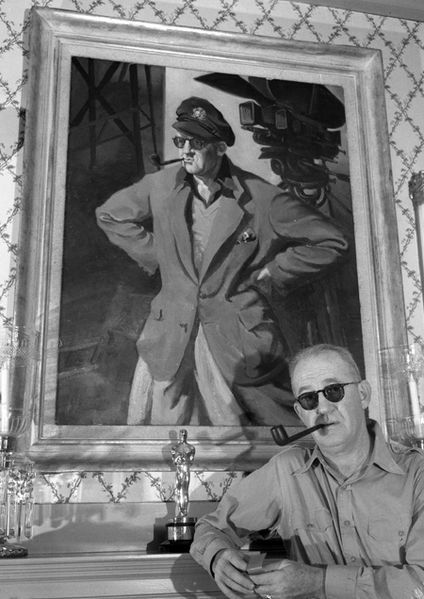 I don’t think there’s anyone in this room who knows more about what the American public wants than Cecil B. DeMille—and he certainly knows how to give it to them…. [looking at DeMille] But I don’t like you, C.B. I don’t like what you stand for and I don’t like what you’ve been saying here tonight.” After the vote, Mankiewicz remained president. 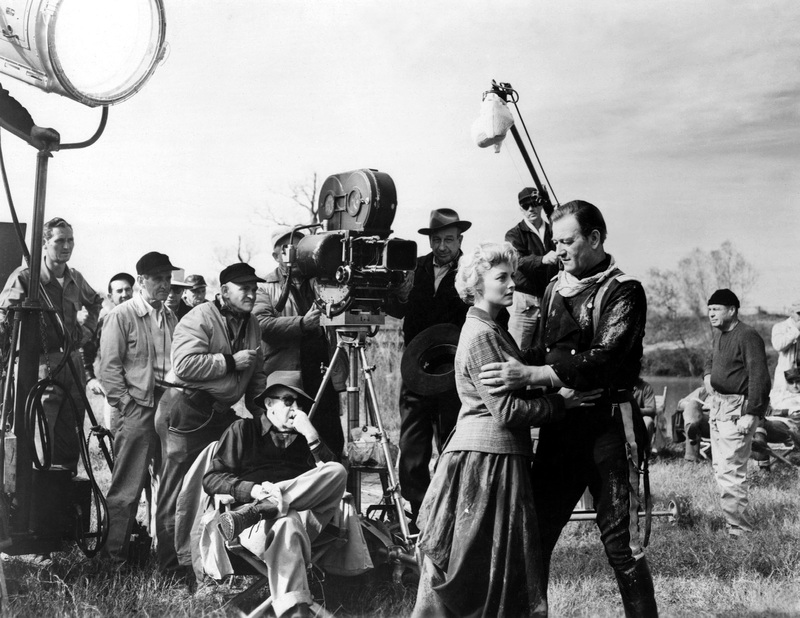 Directing The Horse Soldiers, 1959. Ford Essentials: Ford has a larger body of must-see work than any other director of westerns. These include Stagecoach, My Darling Clementine, Fort Apache, She Wore a Yellow Ribbon, The Searchers, and The Man Who Shot Liberty Valance. 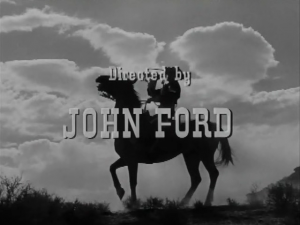 Second-Rank Ford: Not as good as his top-flight work, most John Ford westerns are nevertheless well worth watching. These include Drums Along the Mohawk, 3 Godfathers, Rio Grande, Wagon Master (said to have been a personal favorite of Ford’s), The Horse Soldiers, Two Rode Together, Sergeant Rutledge and Cheyenne Autumn. Counting the Essentials and the Second-Rank, that makes fourteen westerns. 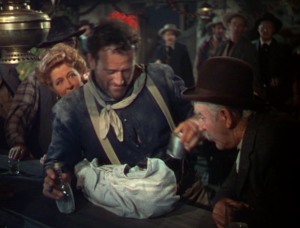 Non-Western Essentials: The Informer, Young Mr. Lincoln, The Grapes of Wrath, How Green Was My Valley, and The Quiet Man. 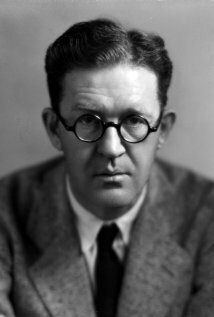 Best Director Oscars: A four-time winner of the Best Director Academy Award, Ford won for The Informer (1935), The Grapes of Wrath (1940), How Green Was My Valley (1941), and The Quiet Man (1952). 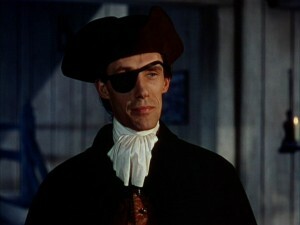 Interestingly, none of those was a western, although he was nominated for Stagecoach in 1939. 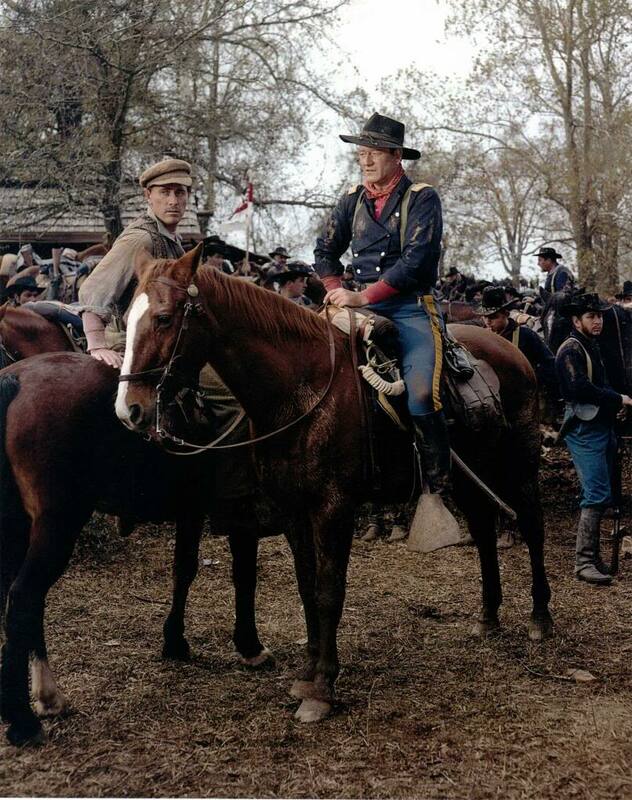 This entry was posted in Directors and Actors and tagged John Ford on January 15, 2014 by Nicholas Chennault. The title of this movie is sometimes written in one word, but in the movie titles it’s two. Even lesser John Ford westerns, like this and 3 Godfathers, are better than average westerns. 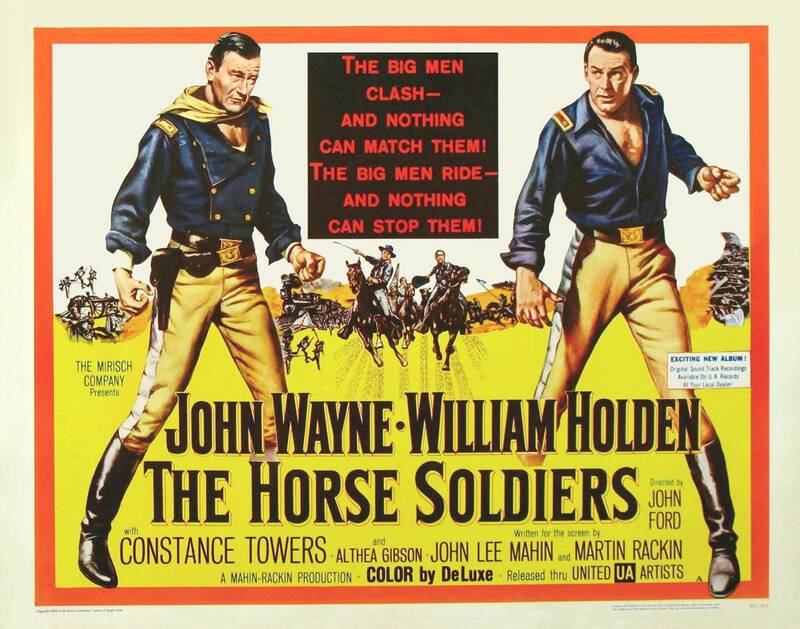 This one, although well cast, is lacking in star power, with leads going to actors who usually played supporting roles in Ford’s westerns. It is normally thought that the title refers to Ward Bond’s character, who went on to play the role of the wagon master in the television series Wagon Train before his death in 1960 at the age of 57. 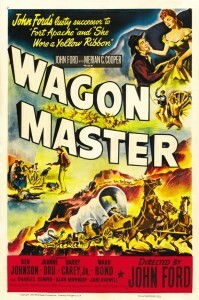 But in the film Bond refers to Ben Johnson’s character as the wagon master. 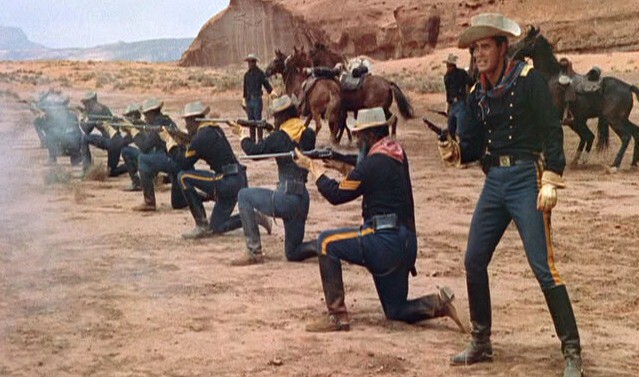 Here Bond plays the role of Elder Wiggs, leader of a band of Mormons stranded in Crystal City, a town that doesn’t like them, as they try to make their way toward the San Juan River country, not too far from the Monument Valley and Moab locations where this was filmed. 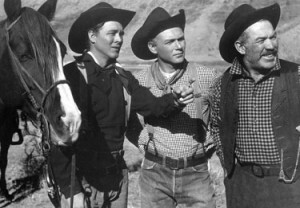 Wiggs encounters the horse trading Blue brothers Travis (Johnson) and Sandy (Harry Carey, Jr.) who are familiar with the desolate country and hires them to guide the beleaguered Mormons. 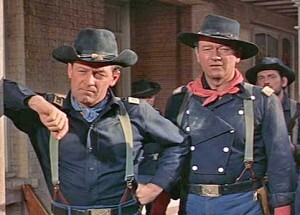 The Blue brothers and Elder Wiggs (Ben Johnson, Harry Carey, Jr. and Ward Bond). The next problem is water, scarce in this dry part of the southwest. Third, they encounter the Cleggs, a Deliverance-style band of related outlaws led by Uncle Shiloh Clegg (Charles Kemper), wounded in their most recent holdup—in Crystal City, as it happens. He needs medical attention and decides not to leave the train after he gets it. The Cleggs’ willingness to resort to violence and gunplay seems to put them in charge, to the dismay of the non-violent Mormons. Next up, Indian trouble: they encounter what seem to be hostile Navajos, played by the actual Navajos Ford normally used as Apaches or Comanches in his Monument Valley epics—except for Jim Thorpe, a Sac and Fox, in his last film appearance. However, the Navajos actually seem inclined to trust Mormons more than normal white men, and the two groups bond over a campfire dance. Reese Clegg attacks a Navajo woman, and in order to prevent bloodshed Wiggs orders him whipped. The medicine wagon and a prominent occupant: Joanne Dru as Denver. 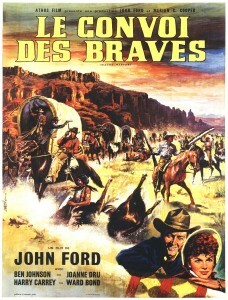 As far as we know, Sandy ends up with Prudence and Travis with Denver, although Denver is rather uncooperative through most of the movie, even when Travis tempts her with the prospect of joining him at a ranch in a special valley he knows (reminiscent of Ringo’s pitch to Dallas in Stagecoach). Historically, the story seems grounded in the actual story of the Mormon pioneers’ grueling journey to the San Juan River country in far southeastern Utah. A couple of times they sing “Come, Come Ye Saints,” the Mormon signature hymn, although there is also a rendition of the inevitable “Shall We Gather at the River.” There’s some actual familiarity with Mormons behind all this, although there are stereotypical elements in the portrayal of the Mormons, too. Bond and the young Johnson are excellent, as are Mowbray (with a whiff of W.C. Fields about him) and Kemper in lesser roles. Ben Johnson, with his cowboy background, did his own stunts and was one of the best riders in westerns (along with perhaps Joel McCrea and Randolph Scott). Carey is fine in a slighter role. Joanne Dru (married to actor John Ireland at the time) here reminds one of her role in Red River, although that was directed by Howard Hawks; she’s good at playing an attractive semi-bad girl. 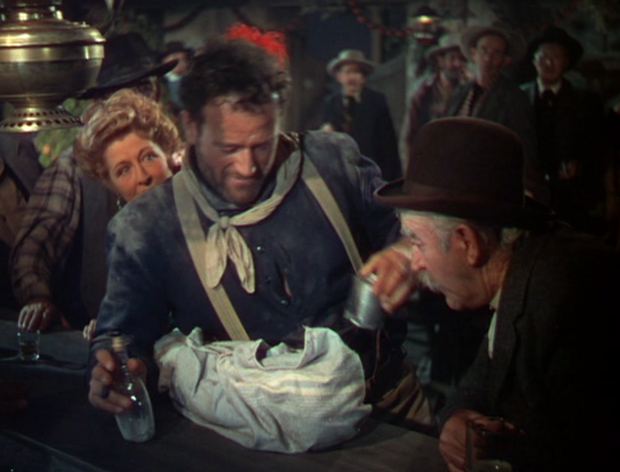 James Arness shows up in an early role as Floyd Clegg; Hank Worden is a mentally-impaired Clegg. Charles Kemper is very good as the slimy Uncle Shiloh Clegg; he was killed in an automobile accident not too long after making the movie. 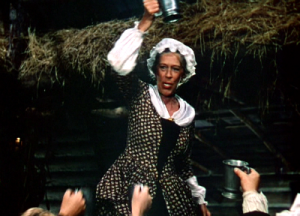 Jane Darwell is Sister Ledyard, who blows a horn to get attention or to get things moving. Sister Ledyard (Jane Darwell) calls for attention. The movie is short, at less than 90 minutes, but well put together. 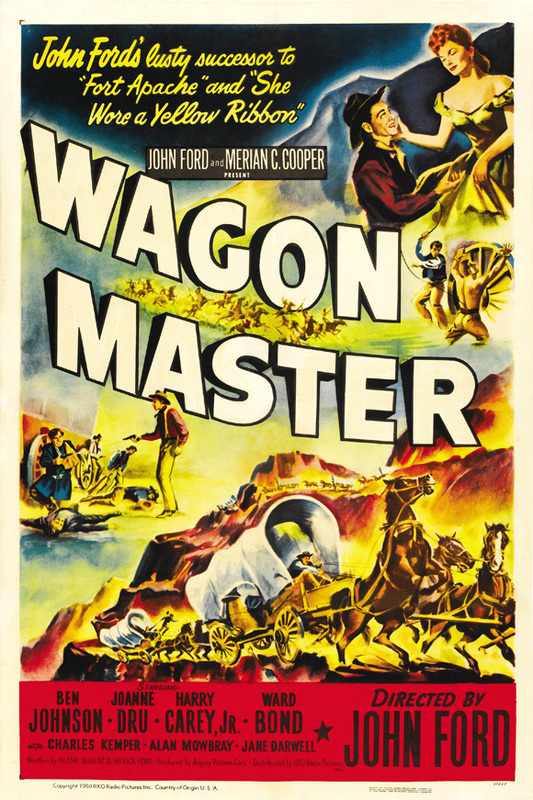 It is one of the better wagon train westerns; it would make a good double feature with Westward the Women, from about the same time. There’s a fair amount of music from the Sons of the Pioneers, as in Ford’s She Wore a Yellow Ribbon and Rio Grande. 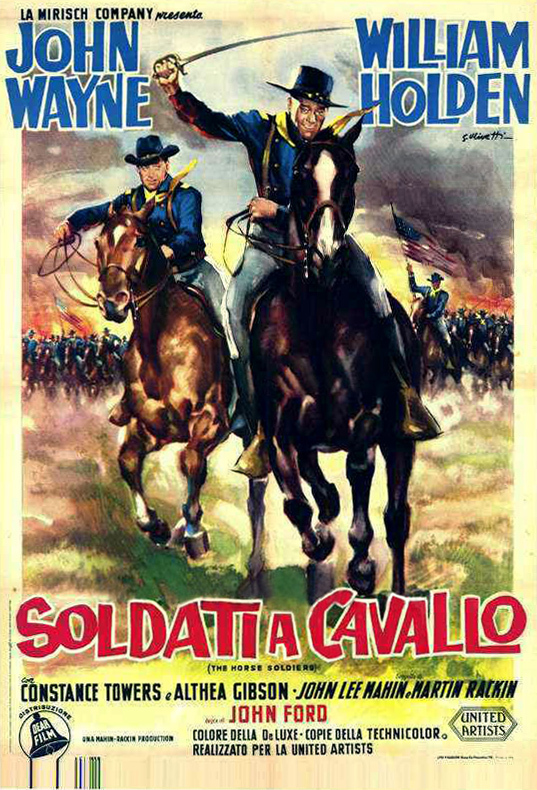 This was made between those two cavalry movies. Ford was clearly enamored of the singing group during this period, although they’re an element that hasn’t aged particularly well for the tastes of modern audiences. 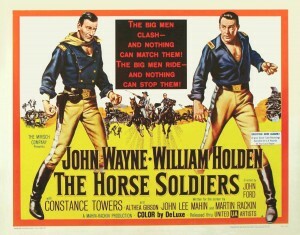 There’s a strong strain of Fordian nostalgia here, as in many of his westerns. 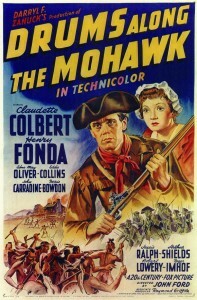 Ford is said to have claimed this was his favorite of his movies, and it’s quite good, if more modest than some others. In black and white. This entry was posted in Westerns Worth Watching and tagged Joanne Dru, John Ford, Mormons, Native Americans (Indians), Wagon Trains, Ward Bond on December 17, 2013 by Nicholas Chennault.